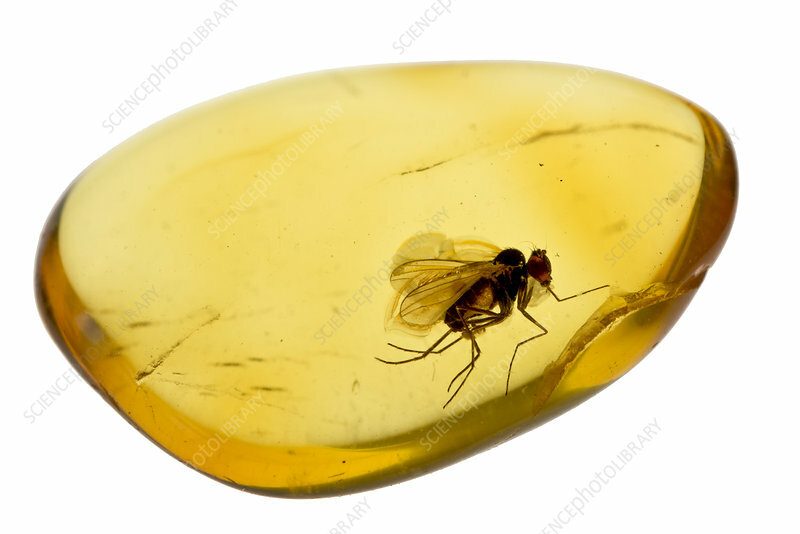 Fossilised fly in Baltic amber. Whole specimen approx 15mm long. Fly approx 5mm.